Android mobiles are now becoming mainstream mobile in India replaces the feature phones. The market share of Android OS in India is increasing day by day and competitive prices by many Indian companies has made the high end Android handset affordable to the mass Indian public. Along with the MUST Have Application For Android Mobile which is already posted here, there are many India specific applications developed especially for Indians needs to be listed. These applications are must have Only if you are residing in India. If you want to enter text in Devnagari script, Google Hindi Keyboard is the only and best option. It has great text prediction, best interface and easy to use. There are many (actually too many) official applications of every newspaper, TV news channel and news website. But still then, this is the first application for every Indian who want to experience the good old newspaper like interface. widest list of regional newspapers in almost maximum Indian languages. Newspaper list includes languages from English, Hindi, Malyalam, Telugu, Marathi, Tamil, Kannada, Gujarati, Punjabi, Oriya and Bangla. Most of the leading newspapers and included and well categorized. You don't have to worry about the font problem. Whether your phone support or not the regional language font, New Hunt will take care of it. Most of newspapers, TV channels and websites have their own official application like TOI, IBNLive, NDTV, The Hindu, IE, DNA, Mint and everyone else. If you are a stock market investor and trade daily or want to track the movement of NSE and BSE, this is the only choice you have. Moneycontrol's market on mobile is the only application that is specially designed for Indian markets. Create your portfolio and Watchlist, track the favorite stocks statistics and related news. Though the interface is not so polished and it is not updated for last many months, you have no other choice. The best alternative is a Google Finance application but the problem is, it does not show NSE scripts in an application even though you add the scripts in your portfolio on Google Finance desktop website. It's very rare that you never tried to book a railway ticket online. There is no any official IRCTC application, but the IRCTC website recommends and links to use NGPay. 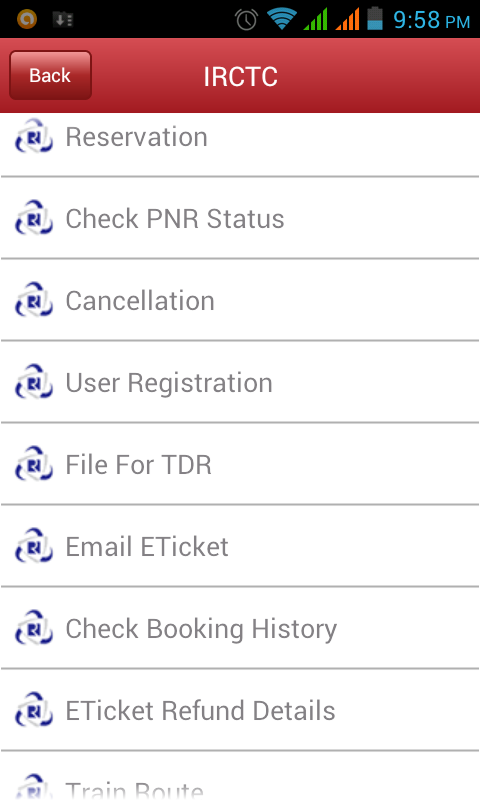 Though Google Play store has hundreds of IRCTC applications, ngpay is only recommended. You can book tickets, check PNR status, check booking history, get ticket by email, check refund details, check train timings and plan your holiday travel. NGPay is not only meant for railway ticket booking but it is a mall on mobile. You can also use ngpay to book airline (Air India, GoAir, IndiGo, Jet) and bus tickets ( Gujrat travels, Hans, KSRTC, Neeta, Paulo, Rajesh, VRL and other), book movie tickets, buy recharge top-ups for mobiles DTH tv and data card and also have some shopping from various brands. This is really multipurpose application. PayTM is also similar option but only to top up mobile and RedBus India is also specialized bus ticket booking application. Actually you may not expect this application will work but it's a surprise. 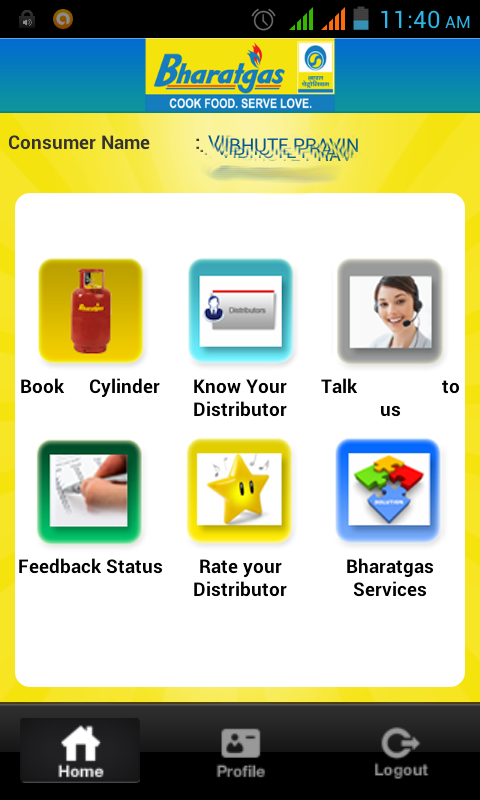 Register your mobile with your gas customer number from within the application and then it will take care of monthly LPG cylinder refill. Just one click and your cylinder are booked. Really very helpful. You can also track the booking status, lodge complaint about your dealer. Mobile banking has really helped everyone. Almost all lending Indian banks have launched official android applications. I have just taken the SBI application as an example. You have to download the official application of your bank. This is a must have classified, irrespective of where ever you live in India. Most of the Indian cities are covered and you can find restaurants, hotels, travels, automobiles, electronics, essentials, education, ATM, spa, books, car rentals, doctors, chemist, emergency services, entertainment parks, fitness center, home essentials, hospitals, petrol pumps, shopping malls, taxi service and much much more. Why waste money on sending SMS if your mobile have internet. Way2sms application will allow you to send regular messages to all your contacts. It is as simple as the traditional SMS. You just need a Way2SMS account. Cricket is a religion in India. ESPN Crickinfo will give you ball by ball update of every cricket match going anywhere in the world. See the old match statistics, profile of your favorite player, photo gallery and much more. The Yahoo! Cricket app is also superb. 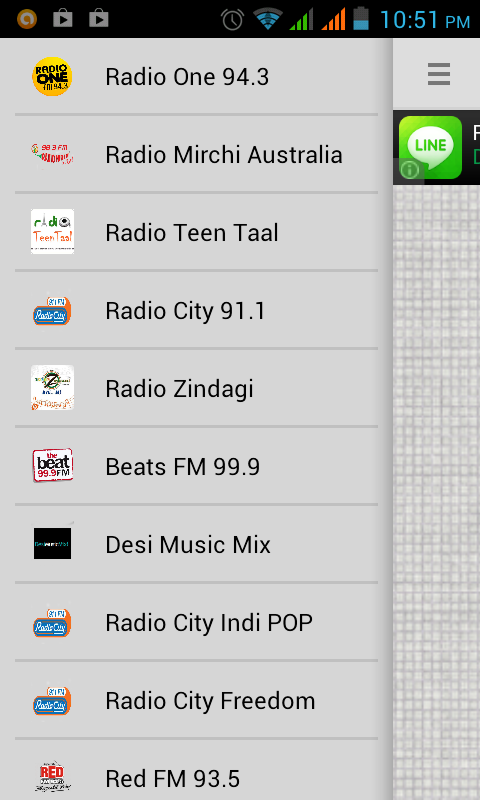 If you are a fan of FM radio and miss the good old suspense of the next song, an FM Radio India application will help you. It has good collection of online FM station specially for India which include popular stations like Radio Mirchi, Radio City, Red FM and many other regional language FM stations. The interface is simple, clean and polished. You can add stations to your favorite list for easy access. 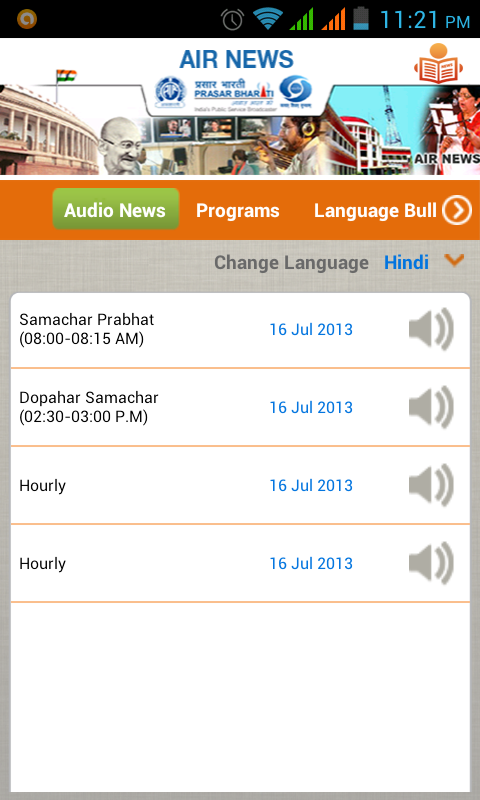 AIR News is official All India Radio applications where you can read and listen to AIR new. The national news broadcast as well as regional language news. Bollywood music has no boundaries and so the music applications. There are many good applications like Saavn, Dhingana, but Hungama music has integrated FM along with the regular music application. Are you fresher or want to change your current job, this application will help you to find out job openings in any field you are interested. 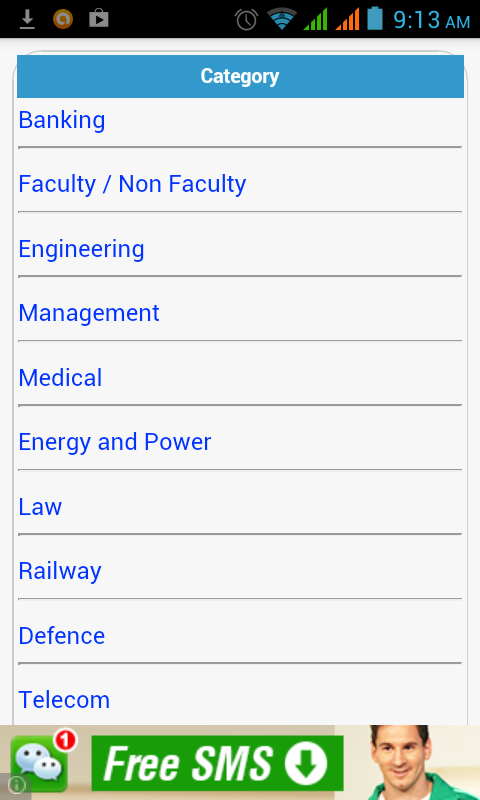 The jobs are categorized according to sectors and education qualification. Clean interface and easy to navigate features will allow you to find out your dream job easily. This application is really a good companion. 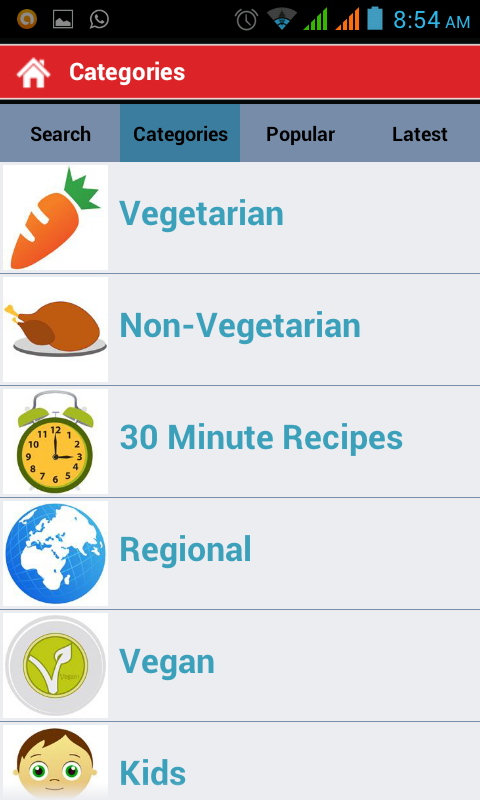 Though Google Play store is full of recipe applications, Sweet N Spicy have real Indian taste and tadka of superb features. All the recipes are especially for the Indians by the Indians. Categories include vegetarian, non-vegetarian, 30 minute recipes, regional, vegan, for kids, must try, chefs, special health conscious diets, easy recipes, beginner, festival recipes and for bachelors. 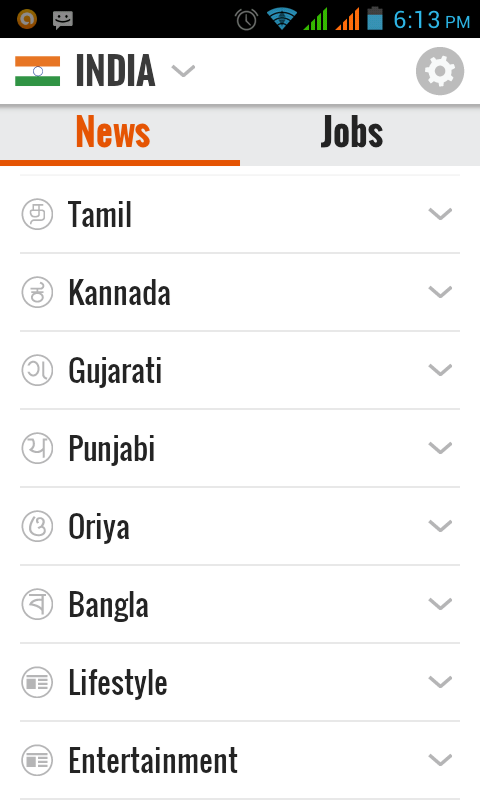 Regional recipes include Bengali, Goan, Gujarati, Kashmiri, Maharashtrian, Mughlai, Punjabi, Rajastani, Andhra, Kerala, Karnataka, Tamil, Sindhi, North eastern and much more. Not veg includes gravy, side dish, rices, sauces, dosas, chocolates, puddings, chicken, seafood, cakes, eggs, soups, pickles, fast food, chutneys, snacks, Indian curries. Recipes for kids include lunch box, dinner, healthy, snacks. This application will make you a real great chef, and as you go through it make your mouth full of saliva. Thanks for the nice blog and you are making ticket booking easy for all by this blog and get information of check seat availability train before traveling. It is important for long journey.